LOS ANGELES — Oct. 15, 2018 —Today at Adobe MAX, the Creativity Conference, Adobe (Nasdaq:ADBE) announced major updates to Creative Cloud applications including Photoshop CC, Lightroom CC, Illustrator CC, InDesign CC, Premiere Pro CC and Adobe XD. 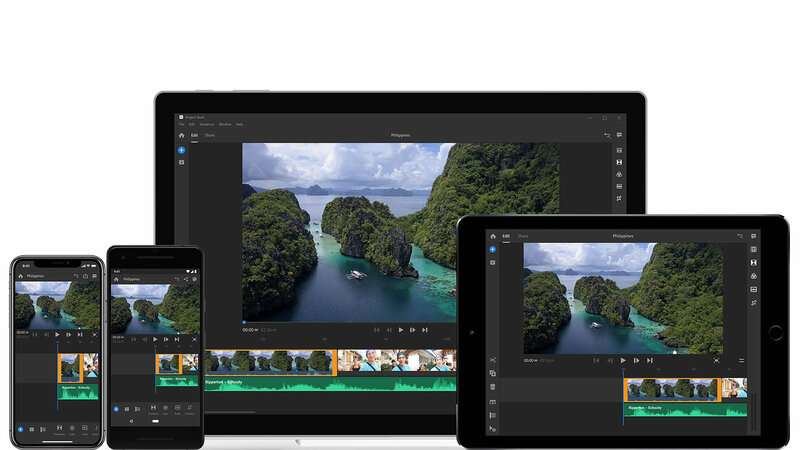 Adobe also introduced Adobe Premiere Rush CC, the first all-in-one, easy-to-use video editing app for social media creators, simplifying video creation and sharing on platforms including YouTube and Instagram. Adobe previewed new iPad versions of Adobe Photoshop CC and Project Gemini, a drawing app, reinforcing the company’s commitment to delivering high- performance apps that work seamlessly across surfaces. Designed specifically for online video creators, Premiere Rush CC integrates capture, intuitive editing, simplified color, audio and motion graphics with seamless publishing to leading social platforms, such as YouTube and Instagram, all together in one easy-to- use solution. With Premiere Rush CC, content creators do not have to be video, color or audio experts to publish professional- quality videos. Premiere Rush CC harnesses the power of Premiere Pro CC and After Effects CC, offers built-in access to professionally designed Motion Graphics templates in Adobe Stock to get started quickly and features a Sensei-powered, one-click auto-duck feature to adjust music and normalize sound. It also allows access anywhere, enabling users to create compelling video projects – optimized for social distribution – on one device and publish from another with a consistent user experience across desktop and mobile. Next Next post: Ricoh WG-60 Tough Compact Camera to be Announced Soon !